Home / Latest News / Like seeing old friends! The watering season having finished, we thought that it would be a good idea to inspect all the trees that we have planted over the last 3 years. As we normally only water trees for 2 years after planting, there were some of the trees planted in our first planting year that we had not seen recently. Nearly all the trees were in good condition and it was like visiting old friends! I think that the 2 chanticleer pears on Colne Chase were especially good in their autumn colour. All the trees were growing well, despite the long dry summer. We undertook some routine maintenance, trimming a few trees with damaged branches as well as lowering a couple of the wire cages where branches had been rubbing on them. 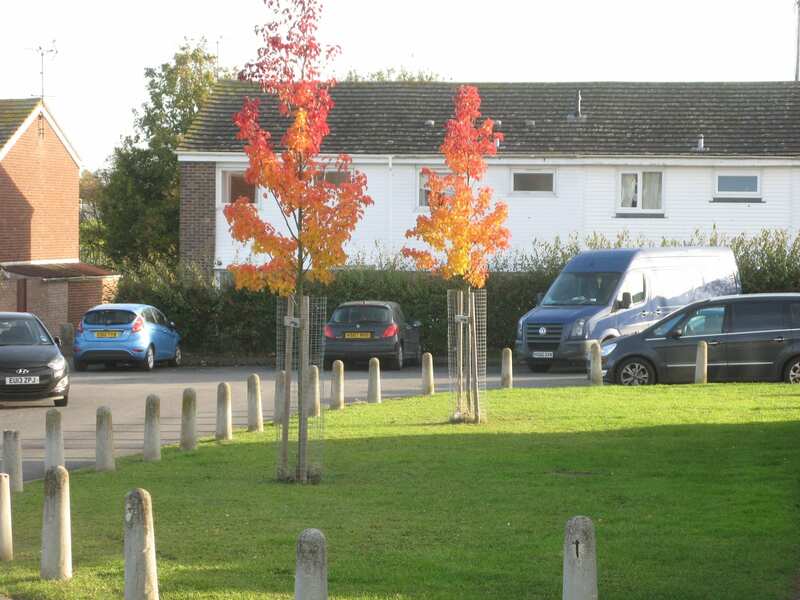 Some larger branches will be trimmed after leaf fall when the trees are dormant. 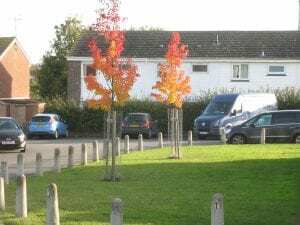 The trees needing the most attention were the Black Poplars, both along the river walk by Ebenezer close and the one near Asda. This was because of the amount they had grown, a couple having burst the tree tie support. These ties have been replaced or altered to continue to support the tree. At this rate of growth, these will be substantial trees in the reasonably near future. All in all, an encouraging mornings work.